Marine litter has been found on seafloors around the world including also the Baltic Sea and even the Arctic Ocean. Due to the widespread distribution of litter on the seabeds, the seafloor is considered as one of the main accumulation sites for marine litter. However, the presence and abundance of plastic litter and other anthropogenic debris on seabed is not as widely studied as floating or beached litter because of the need of special sampling methods. Furthermore, the litter research on seafloor is focusing mainly on continental shelves due to cost-efficiency and easiness of sampling compared to deeper offshore areas. Marine litter on the seafloor is studied most frequently by using trawls. Despite of the wide usage, it is not an ideal method for seafloor litter inventions since it can be used only on soft bottoms and is rather destructive to the seafloor habitats. Furthermore, it does not give information about the precise localization of collected items or their impacts to the benthic flora and fauna. The efficiency of trawls to collect different types of litter vary, and for example monofilament lines are hard to catch. It is even proposed that the impacts of trawling are more severe than litter items themselves. Less intruding method for bottom surveys relies on submersibles or remotely operated vehicles (ROVs) equipped with video cameras. The downside of these imaging methods is that they are not able to detect items buried in the sediment and because they do not collect litter, it is impossible to conduct any further material analyses. Even though there is a lack of large-scale evaluations of seabed debris, many small-scale studies have revealed that the abundance of plastic debris on the coastal areas across the globe ranges from 0 to 7290 items per hectare. In most of the studied sites plastics constitute more than half of all the litter, but their proportion varies from 23% to 95% depending on the location. For example in the north-western Mediterranean Sea plastics account for in average 77% of all benthic litter and in the Bay of Biscay the proportion of plastics has observed to be 80%. In the Mediterranean most prominent plastic categories include plastic bags and beverage bottles, general food packing material and fishing-related litter such as fishing line and nets, which seem to be common also in other study sites worldwide. Metal is commonly the second largest category of benthic marine litter. For example in Kodiak Island, Alaska, approximately a third of litter was metal and in the gulfs studied in Greece it accounted for 6–27% of all litter. In some areas, as in the west coast of the United States, metal outnumbered plastics as the most prevalent litter type. Most of the items found in different studies have been identified as food and beverage cans and crab pots. Other frequently found materials include glass, which for example in the Constanta Bay, Black Sea, formed 22% of litter. Sometimes glass can be the most prominent category, as was seen in the Dutch ABC Islands in the Caribbean Sea where glass accounted for 32% of litter. A majority of the glass items observed are usually beverage bottles, but also glass jars are often recorded. Some of the differences in seafloor litter composition may reflect different sampling methods, but also the types of human activities nearby and physical factors may affect. Anthropogenic litter is found from the seafloors around the world. In addition to densely populated areas, plastic litter can be found from the remotest places on earth including the deep ocean floor in the Arctic. The photographs taken from the depth of 2500 m revealed that the litter density increased from 3635 to 7710 items per km2 between years 2002 and 2011. 59% of observed items were plastics, but also for example glass and metal was found. The sources of this litter were not confirmed, but it was suggested to originate from local shipping and fishing activities as well as currents carrying litter from Atlantic waters. Average densities of seafloor litter in non-European waters (range in parentheses). Note different units in the reviewed studies. From the European seas most studied is perhaps the Mediterranean Sea. Trawls conducted in 1990s on the European coasts compared the abundance of marine litter in different areas, and the highest concentrations of litter was found from the Mediterranean Sea (19.35 items/ha). The high density of litter on the Mediterranean seafloors is probably a result of densely populated coastline, shipping, small tidal flow and limited water exchange. Average densities of seafloor litter in Europe (range in parentheses). Note different units in the reviewed studies. Monitoring of seafloor litter is mandatory for EU –countries because of the Marine Strategy framework directive (MSFD). Due to the state of the current knowledge, more information is needed. 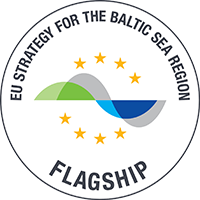 The information on the seafloor of the Baltic Sea is currently limited mostly to the southern parts of the basin, where bottom trawl surveys (BITS) to monitor benthic fish can also be used to survey seafloor litter. Bottom trawling is currently being carried out by Denmark, Estonia, Germany, Latvia, Lithuania, Poland and Sweden. Bottom trawls conducted in the western Baltic Sea revealed a density of 1.26 litter items per hectare, with plastics accounting for 36% of all the litter. Unfortunately, the study did not give any further information about the composition of found litter. The spatial differences in abundance and composition of marine litter found from the seafloor depends on many factors. For example water depth, strength of currents on the surface and on the bottom, wave action, seabed structure and proximity of different sources all affect the deposition of litter. Benthic litter is usually accumulating in areas of low circulation: comparisons of benthic litter quantity and composition in Kodiak Island, Alaska have revealed that litter concentration is multiple times higher in inlets than outside inlet areas, which was suggested to be due to weaker currents in inlets. Also in the coast of New South Wales, Australia, concentrations of benthic litter were highest in estuaries and bays compared to other coastal habitats and similar results were gained also in a bottom litter survey made in the Majuro Lagoon, Marshall Islands, where litter concentrations were higher in the shallow inside parts of the lagoon compared to the outer reef sites more exposed to winds, tides and currents. The winds and wave action were also suggested to explain why the largest proportion of litter in Marshall Islands was metal – the floating plastic litter might have been carried away from the area more easily and therefore accounted for a smaller proportion of the litter. Certain topographic features, such as canyons, may increase the accumulation of plastic in a large scale as well as in a smaller scale in holes, rocks or other formations. For example a study assessing marine litter distribution and abundance in European seas found a highest abundance of debris from submarine canyons. The study surveyed a vast number of continental shelves and slopes, submarine canyons, seamounts, banks, mounds, ocean ridges and deep basins of Atlantic Ocean and Mediterranean Sea at depths ranging from 35 to 4500 meters. Marine litter was found from every site and plastic was the most prevalent litter type accounting for 41% of all debris on the seafloor. Among plastic, derelict fishing gear such as lines and nets were the most dominant type of litter especially in the seamounts, banks and mounds as well as in ocean ridges. Litter concentrations on the seafloor has also been observed to increase with proximity to shore. The amount and types of litter reflects the human activities, such as fishing activities, urban development, shipping and tourism, on the coast. In the Mediterranean Sea the majority of plastics are consumer plastics; for example in the gulfs studied in Greece different types of packaging material accounted for more than 90% of all benthic litter. However, in active fishing areas litter related to fishing industry is more common. A bottom survey made in the coast of California, litter from the submarine canyons and continental shelf (depth 20–365 m) found out that the dominant type of debris was related to commercial and recreational fishing and included for example monofilament fishing line. Similar trends have been observed also elsewhere: in the Kodiak Island, Alaska, fishing-related debris such as fishing line, bait jars, netting and crab pots made up 34–65% of all benthic litter. The effect of sampling season should be also taken into account when studying marine litter on the seafloor, since some sources of litter may be strongly seasonal and affect both the density and composition of marine litter. Seasonal sources include for example storms that wash litter to the sea, coastal tourism and fishing activities. Therefore it would be important to also monitor the study sites regularly to determine the accumulation rates of different types of litter. This would also help in determining the potential sources of observed litter items. However, it must also be noted that litter can travel considerable distances before sinking to the seabed, so the source might be far.